Pamela Powers Hannley, LD9 candidate for House, giving a pep talk before the Monday canvass. 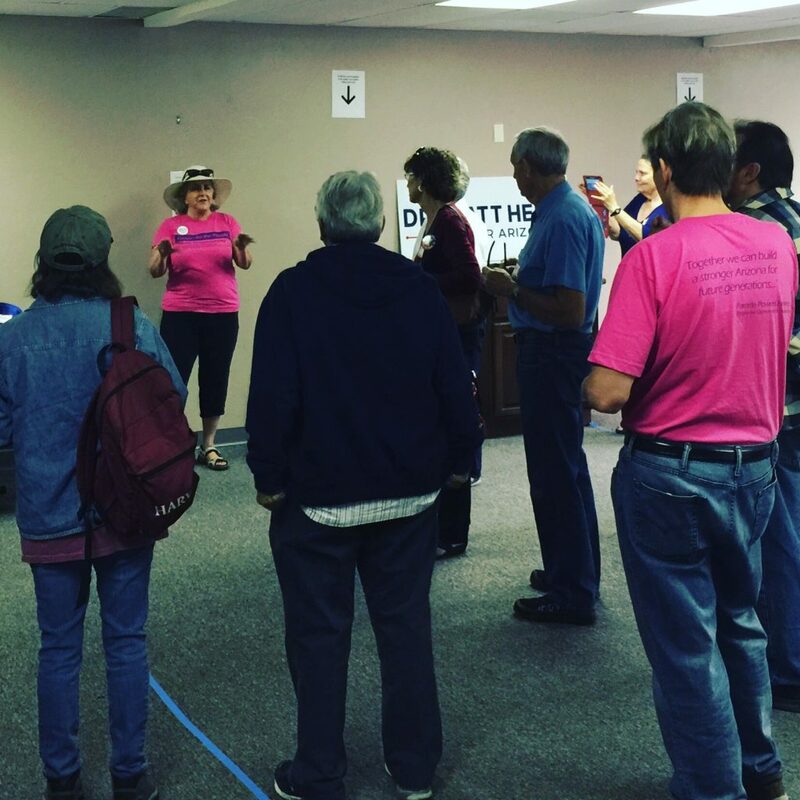 Working out of three regional offices, Democratic Party volunteers have been fanning across Southern Arizona to find every last vote possible. There are volunteer opportunities for walkers and phone bankers today — Election Day– from the main headquarters, the NW LD9 headquarters on Oracle, and the South Side headquarters. Help us get out the vote, and then, at 7 p.m., let’s celebrate the fruits of our labor at the University Marriott. 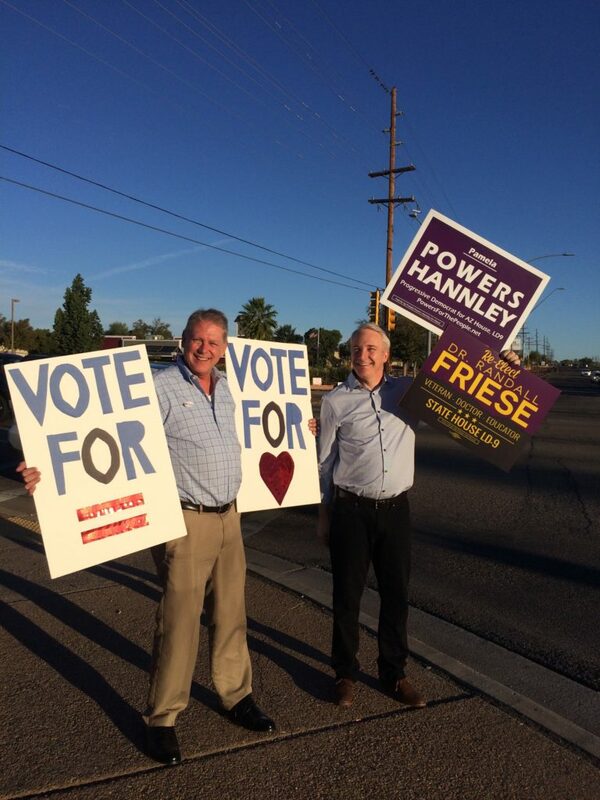 LD9 Rep. Randy Friese with an early morning sign wave on Election Day. Previous articleProp 123: Show Me The Money!